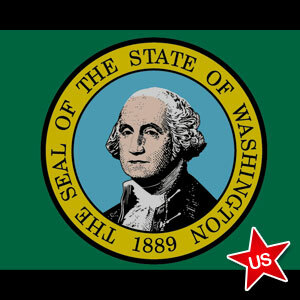 Following the legalization of online poker in Nevada, Washington State is considering this move, but with apprehension. The legalization of online poker is the buzz word in various legislatures with Nevada and New Jersey taking the first big step towards making the game legal online. However, some lawmakers in the state of Washington do not seem to be as enthusiastic as their counterparts in the other states. Recently, the proposal initiated by Paul Harris, State Rep. to amend the current laws where playing online poker is considered a state felony stumbled into a roadblock. The bill was finally set aside for deliberations only next year. In a statement addressed to the Poker Players Alliance, Rep. Harris reiterated the fact that some other lawmakers had serious concerns about any modifications to the bill. According to Rich Muny, the Vice President of PPA, Harris stated that the only hope for a positive response to the passing of the bill can come in the short session scheduled next year. Rep. Harris’s proposal aimed at reducing the charges for anyone penalized for playing poker online from a felony to a ‘class 3 civil infraction’. For some lawmakers this drastic reduction seems to be a major concern where the maximum penalty is a fine of $50 and statutory assessments, according to the law in Washington. In his statement, Harris did his best to reaffirm faith in his supporters and poker enthusiasts that the bill would be given fair attention in next year’s session. While urging proponents of the bill to be hopeful, Harris reaffirmed his determination to prioritize the bill. For lawmakers like him, the very fact that the bill was tabled was a major step towards getting online poker legalized in Washington State. PPA Vice President Muny was also optimistic of the future and promised to work alongside Harris to introduce the bill with success in the next legislative session. Muny said that he was hopeful of the existing law being revoked, which at the moment is deemed by most supporters as an extremely harsh penalty. Earlier, a bill passed in 2006, made online gambling illegal in the state of Washington. It remains a Class C felony with imprisonment for as much as 5 years and attracts a fine of $10,000 as well. While addressing the Washington House Government Accountability & Oversight Committee, Rep. Harris was quick to mention that the state could benefit by up to $400 million from online poker.